Dr. Jianping Wu has played a pioneering role in advancing Internet technology, deployment, and education in China and Asia Pacific, and has helped strengthen the region’s relationship with and position in the global Internet community. Since 1994 he has led the design, development and evolution of CERNET, the first Internet backbone in China, helping it become the largest national academic network. He has also been a leader in the promotion and deployment of IPv6 in China, proposed the China Next Generation Internet Project—designed to facilitate the development of China’s next-generation Internet backbone—and led the development of CNGI-CERNET2, China’s first large-scale IPv6 Internet backbone and one of the largest native IPv6 networks in the world. He has consistently encouraged the participation of Chinese scientists in global Internet development efforts and has played an important role in developing advanced networks in Asia Pacific and Trans-Eurasia. 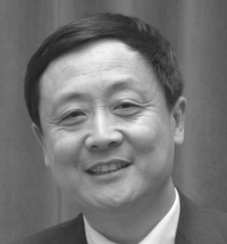 He is a professor and chairman of the Department of Computer Science at Tsinghua University, and an academician of the Chinese Academy of Engineering.